This list covers all Bosch/VW codes, for all Motronic, Digifant, ABS, and automatic transmission control units with code functionality. To access the fault system, Connect an LED between battery positive (+) and the diagnostic LED wire, then turn the ignition on (but don't start the car) and place a jumper between ground and the respective system's diagnostic connector under the shift boot, for at least 5 seconds (specific wire colors/locations are listed on each fault page). 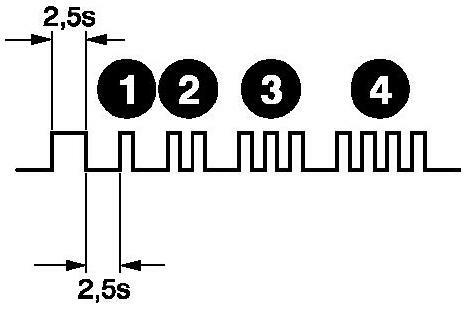 Remove the jumper, and the LED test light should flash one long pulse, then several shorter pulses (with spaces) indicating codes. Please click here for an example.